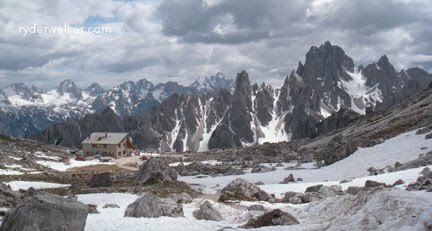 Our Cortina & Lakes of the Dolomites Trek is almost sold out. We only have two single rooms available! If you’re a solo traveler, looking for a fun-loving group of avid hikers, then now is your chance. Have a look at our trip, then give us a call. We’d love to give you the inside scoop on this slice of heaven from northern Italy. Image: By Mike Thurk. From our Cortina & Lakes of the Dolomites tour.